Ahly assistant coach Mohamed Youssef said Tuesday that he convinced the team’s key striker Walid Azaro to stay with the team after amending his contract. Youssef also revealed that the requests made by winger Moamen Zakaria to renew with the Cairo giants are above the club’s assigned budget. “I convinced Walid Azaor to stay with the team after adjusting his contract. We have also amended goalkeeper Mohamed El-Shennawi’s contract,” Youssef told an Egyptian TV station. The 48-year coach stressed that Zakaria is an outstanding player. However, his renewal has to align with the regulations of the club’s football committee. “Moamen wants a different amount of money to renew. He thinks differently,” Youssed added. 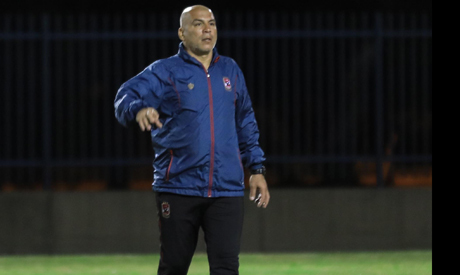 Ahly will resume training Wednesday amid preparations to face the UAE's Al-Wasl on 22 November in the Zayed Champions Cup Round 16 second leg. The Red Devils will be on the back foot after a 2-2 draw in the first leg in Alexandria on 28 October.